One of the most gifted potters to emerge in the 1950s, Janet Leach (1918-1997) told me that had she kept her own name of Darnell when she married Bernard, she might have ensured herself more personal recognition as a potter, one whose work was actually very distinct from the generally softer forms and decoration of the Leach School. Born in Texas, Janet Leach moved to New York to work in sculpture before studying pottery and establishing her own workshop. This was followed by a crucial period in Japan working with Shoji Hamada before she settled in St Ives. 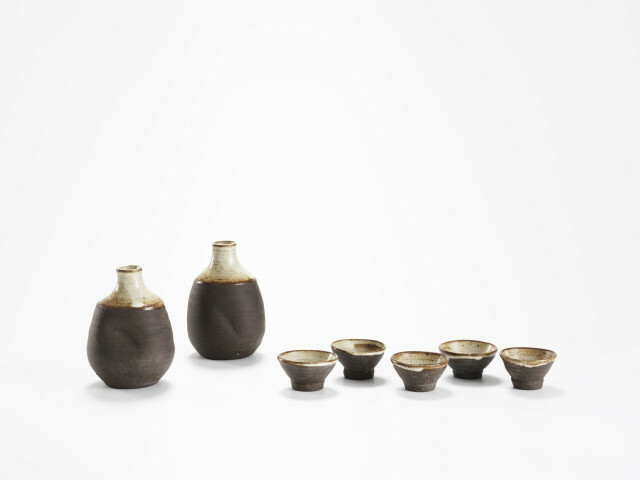 Leach’s bold free work in stoneware and porcelain had a strong elemental quality with its gestural poured glazing and marking, and her preference for wood firing many pieces gave it an expressive quality that owed much to Japanese tradition, but also showed an appreciation of the broader ambition in modern American and European abstraction. She was one of the first potters to respond more directly and convincingly to the aesthetic of Japanese kilns, long before it became so in-vogue.